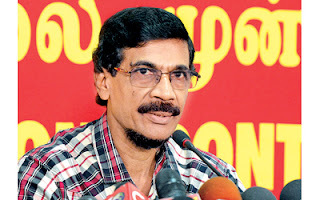 A team of lawyers have already been assigned the task of taking legal action against ‘Divaina Irida’ newspaper for publishing falsehoods to vilify the JVP and complaints would be filed at Sri Lanka press council and Press Complaints Commission of Sri Lanka (PCCSL) against the newspaper said the General Secretary of the JVP Tilvin Silva. The General Secretary of the JVP said the JVP is engaged in the task of building a massive people’s power to save the country from the crisis of the capitalist system and the members of the JVP cannot be deceived or discouraged by fabricated falsehoods. He called upon the people in the country not to believe slanders but to rally with the JVP to build a country with a better future.